The hurricane season was expected to be active with enhanced landfall threats. This is characteristic of summers when the Atlantic is in its warm mode and coming off La Nina winters. Not surprisingly though the media including AP’s Seth Borenstein blamed this year’s storms and the increase in activity since 1995 on global warming. He quoted his favorite AGW cheerleaders Judith Curry and Kevin Trenberth who provided statistics to support the increase in activity since the 1990s. No one questions that increase. 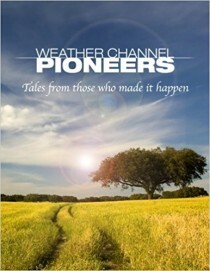 Bill Gray and virtually all real hurricane forecasters and experts predicted the Atlantic would see an increase in the number of storms, major storms and landfalling systems ever since 1995 based on natural multidecadal cycles in the Atlantic. 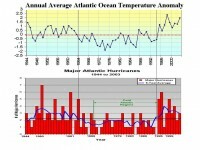 The Atlantic goes through cycles of warming and cooling with a period of about 70 years. 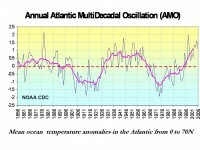 A measure of this is the AMO, the standardized North Atlantic mean temperature from 0 to 70N. Note the warm period in the late 1800s, the late 1920s to the middle 1960s and again after 1995. Curry and Trenberth want you to believe the natural cold to warm transition of the AMO during the middle 1990s is somehow driven by CO2. See the recent flurry of peer review science that refutes any unnatural tropical variability here. Then number of storms and the number of major hurricanes (CAT 3-5) increase during the warm Atlantic phases as shown below. So far this year the Gulf and Florida has borne the brunt but before the week is over the southeast will see Hanna make landfall and its heavy rains and gusty winds are felt in the Mid-Atlantic and northeast. Hanna will enter the mainland in the southeast as a tropical storm and turn up the coast bringing heavy rains and gusty winds from the southeast, Mid-Atlantic and then the northeast. Ike as expected became a major hurricane. It is far enough south so that it is not yet certain whether it threatens Florida, enters the Gulf and does a Gustav reprise or turns up the east coast or out to sea. More coming.